Challenge for engineering students: How fast can you build a bridge? IT TAKES MONTHS, even years, to build a steel bridge. 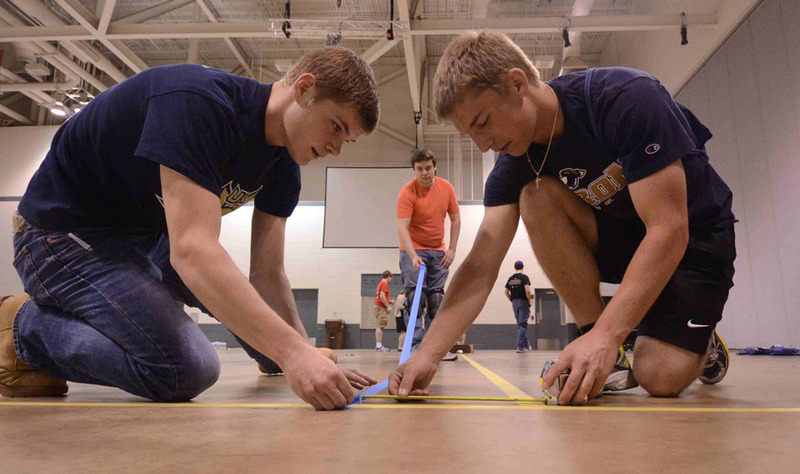 But at the University of Akron this weekend, bridges were built in minutes. 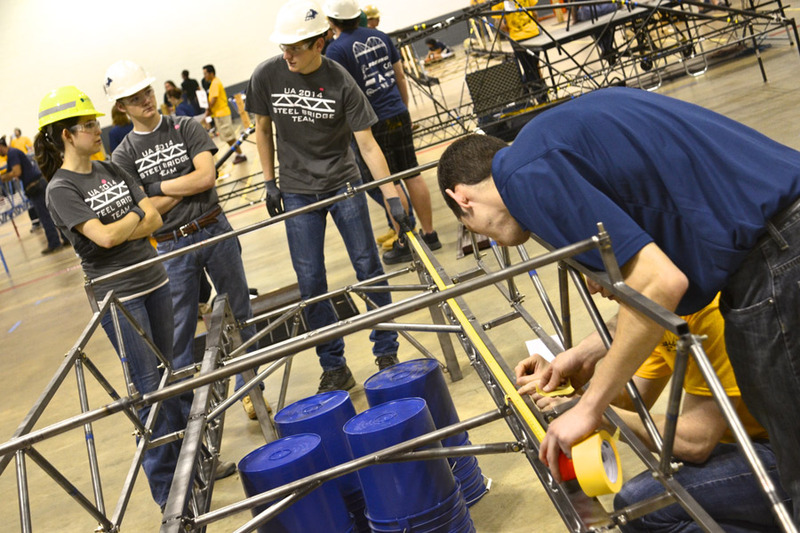 In a fast and furious national competition, engineering students from around the continent raced against time and each other, using pieces and parts stored in a rectangular box to build a 17- to 19-foot-long steel bridge capable of bearing about 2,500 pounds. 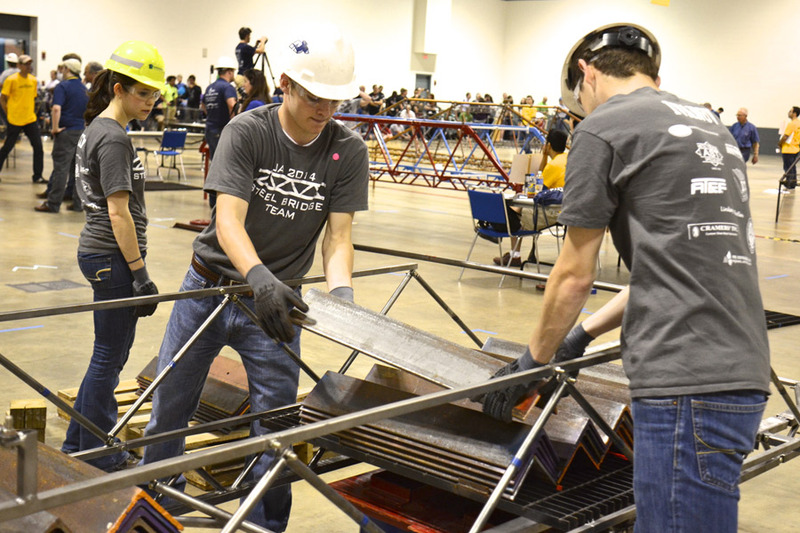 The National Student Steel Bridge Competition came to the University of Akron College of Engineering for the first time in event history. Teams of top engineering students from 50 universities built bridges designed with innovation and judged on lightness and stiffness, along with construction and structural economy. Tim Nixdorf, a 2014 UA civil engineering graduate pursuing a master's degree in applied mathematics, measures for bridge deflection as the Zips team readies for today's steel bridge competition. 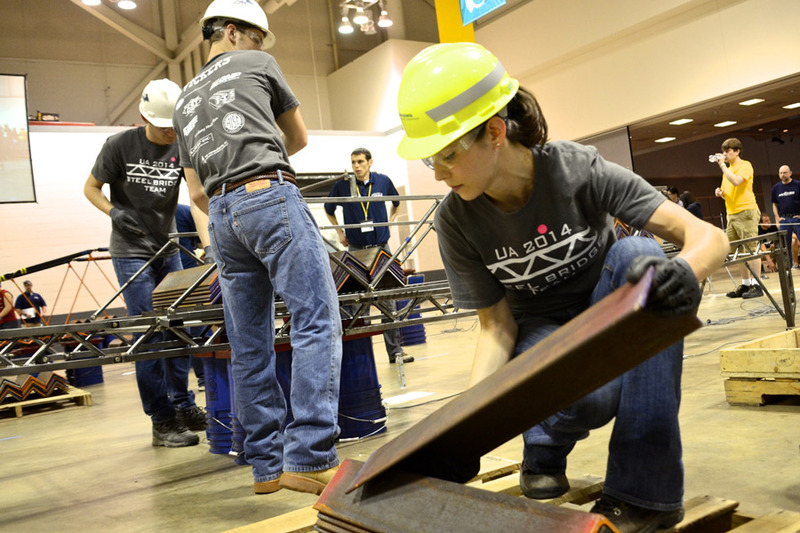 Alumni Cameron Carris (left), captain of UA's 2011-12 concrete canoe team, and Michael Clements, captain of UA's 2008-2010 steel bridge teams, return to campus as judges at the 2014 ASCE National Student Steel Bridge Competition. 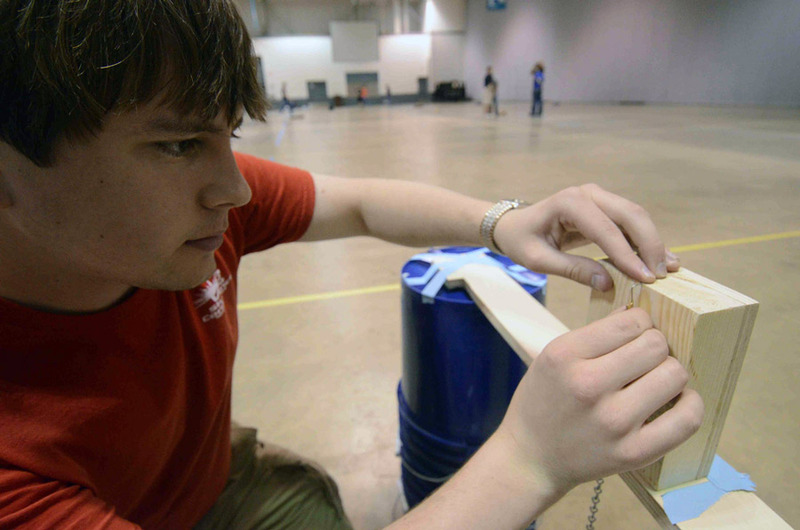 UA National Student Steel Bridge team members (from left) junior Chuck Vickers of Akron, 2014 graduate Heath Harpster of New Franklin and sophomore Daniel Antoniono of Pittsburgh tape lines to mark bridge-building dimensions in preparation for today's competition. 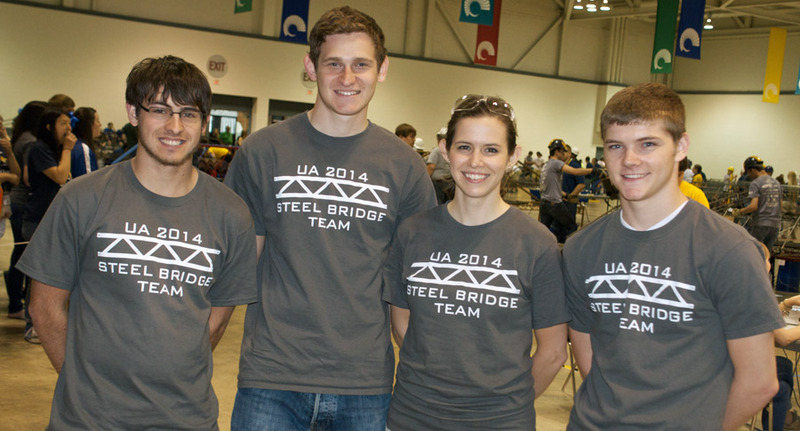 Members of the 2014 UA National Student Steel Bridge assembly team.